Australia, 26 July 2017: Australia’s Girl Geek Academy has successfully launched the world’s largest all-women startup incubator, following the resounding success of its #SheHacks hackathon. The incubator is designed to coach #SheHacks graduates to further develop their minimum viable product (MVP) and create more sustainable female-founded businesses in Australia. Girl Geek Academy enlisted Startup Onramp founder and seasoned entrepreneur coach Colin Kinner to co-develop the incubator concept, along with their recently appointed Entrepreneur in Residence, Silicon Valley “unicorn” – and one of Fortune’s 10 most powerful women in gaming, Holly Liu, whose mobile gaming company Kabam recently sold for over $US1billion. The #SheHacks incubator will run for seven weeks and will guide the startups through structured sessions delivered by Holly, Colin and additional mentors drawn from the Australian startup community. The incubator will focus on giving participants the skills they need to launch and grow their company, and to avoid the many pitfalls often encountered by first-time entrepreneurs. It will cover topics including validation of ideas, growth hacking, how to build a team, marketing and branding, and pitching investors. Most importantly, the program aims to provide women entrepreneurs with the confidence to commit to pursuing their entrepreneurial ambitions and build successful technology companies. A showcase event will take place this September to reveal the startups that have emerged from the initiative. Sarah Moran, Co-founder and CEO of Girl Geek Academy said: “We’ve been working on the format for our #SheHacks incubator for some time and we’re really excited to announce its kick off. So many hackathons end after the event without a pathway for startup ideas to be fully explored. Our intention with the #SheHacks movement is to create tangible outcomes and generate more women-led businesses in Australia, which is why we partnered with Colin Kinner on this project due to his solid track record in training and coaching startup founders. 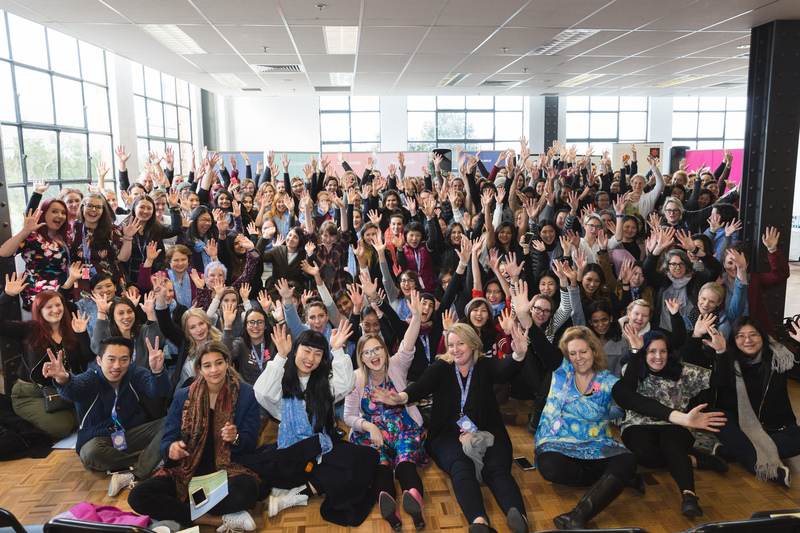 This year’s #SheHacks was a record for Australia, with around 200 women coming together to build 30 new startups – the largest event of its kind in the southern hemisphere. Australian corporates, including Deloitte, also submitted teams to boost their employee team building and intrapreneurship. Startup Onramp founder Colin Kinner added: “The incubator has two important goals: to encourage more women to become startup founders; and to give them a roadmap that will maximise the chances of their startup being successful. Startups generated at #SheHacks and entering the incubator include virtual reality (VR) mobile games, apps to simplify property rental, B2B and B2C online marketplaces – plus social-good startups. Girl Geek Academy’s #SheHacks initiative is the largest all-women hackathon dedicated to bringing women together and creating more technology businesses in Australia. Much more than just a weekend event, #SheHacks is dedicated to sustaining the outcomes of the hackathon with various touchpoints throughout the year. Pre-event bootcamps took place across Melbourne City and the regional suburbs of Warragul, Warnambool and Bendigo, to prepare women for the main hackathon weekend. A dedicated seven-week incubator designed to support participants in further developing their MVP will ensure more tangible outcomes. 20 July 2017, Sydney, Australia: International Towers at Barangaroo and leading Australian interiors architects Geyer are developing a unique workplace community model across Tower Two and Tower Three International Towers at Barangaroo, bringing workers together in an open innovation precinct which inspires growth, collaboration and wellbeing. Geyer Partner, Ms Robyn Lindsey said the new placemaking model includes a curated approach to tenancy and encourages strategic and serendipitous enterprise collaboration opportunities that aren’t accessible in traditional workplaces. “There is an exciting new business ecology being cultivated within International Towers which responds to a profound shift in workplace culture – away from rigid constructs and hierarchical models, towards a more informal, social experience which inspires more innovative and creative thinking and creates a powerful sense of belonging,” said Ms Lindsey. ● A curated tenancy community of diverse organisations with aligned values, including a commitment to innovation, sustainability, collaboration and community. ● Designed by globally renowned architects, Rogers Stirk Harbour + Partners, and developed by Lendlease, International Towers features an abundance of natural light and sweeping vistas. The building design, coupled with the egalitarian nature of the interior layouts, means all staff can have access to generous amounts of natural lighting throughout the day, plus enviable harbour and city views. ● Two and Three International Towers community tenancies are being designed to allow organisations the flexibility to expand and contract rapidly and efficiently. International Towers offers a ‘tenancy kit’ for bespoke tenancy workspaces. Key elements within the floor plates and design, allow teams to move and interact beyond their core space – depending on what the organisation’s needs and focus are. ● Work environments are designed to encourage and inspire cross-functional team interaction – including open spaces, visible gathering spaces, transparent activity rooms and connectivity between staff areas and event tenancies. ● There are many design elements between tenancies which encourage collaboration, connection and mobility. This includes the introduction of communal spaces where people can gather and co-create, as well as quiet spaces to focus and imagine. International Towers will also feature a unique ‘Companionway’ – a shared stairway between floors and tenancies which offers some opportunities for shared work spaces, social interactions and special events. ● International Towers management has introduced a strong service culture within the building which includes a year-round calendar of curated, whole of community events which offer cross-pollination and continuous learning opportunities to tenant partners and their people. Recent events have included the TEDxSydney salons focused around innovations in technology and science communities. International Towers this month announced two new tenant partners under the curated tenancy model: sustainability specialists, Green Building Council of Australia (GBCA) and the campaign for constitutional recognition of Aboriginal and Torres Strait Islander peoples Reconciliation movement, Recognise. These organisations join the community of established innovation leaders within Two and Three International Towers including: KPMG and its new Innovation Lab; Australian Law Firm of the Year 2016 Gilbert + Tobin; leading global reinsurer Swiss Re; Australia’s most innovative international property and infrastructure group, Lendlease who developed International Towers; and Westpac Group, who recently won the best workplace in the 2017 Property Council Awards. “This is a uniquely curated working community supported by an environment designed to inspire and optimise new and often unexpected enterprise experiences,” said Ms Lindsey. “The design along with a strong values-based community culture that will develop out of interactivity, will bring together different organisations, their teams and individuals, inspiring new opportunities that can enhance business development, performance and personal growth and reward. It will provide tenants with enviable attraction for new and top talent and enrichment opportunities for their own cultures as it is laced with a design approach that builds on wellbeing practices and outcomes,” she said. “Workplace design impacts behaviour such as how space is utilised, how it affects moods and mindsets, and influences how people behave and experience their everyday. Traditionally this relies on individual organisations within their own workplace walls to create, innovate and progress, yet many of our greatest ‘aha’ moments come when we are stimulated by external and unexpected stimuli. Our view is that interaction with neighbouring organisations and individuals cast within the everyday, can escalate opportunities and stimulate changed mindsets to afford greater opportunity for ideation, innovation and progress,” said Ms Lindsey. 20 July 2017, Sydney, Australia: International Towers at Barangaroo will soon be home to the Green Building Council of Australia (GBCA), as the industry association joins the growing innovation community being established within Tower Two and Tower Three International Towers. GBCA CEO Romilly Madew said alongside the tower’s Green Star rating, the GBCA selected International Towers at Barangaroo because of its commitment to creating an environment which promotes high performance innovation and can support the organisation’s growth into the next decade. The GBCA’s move comes after exploring tenancy options with its members. “There is an exciting new business ecology being cultivated within International Towers and we are thrilled to participate in this as a foundation tenant. We look forward to moving into a business community anchored on diversity, high performance, wellbeing and innovation – characteristics that we believe are pillars of a sustainable future,” Ms Madew said. Tower Two and Tower Three International Towers is taking a curated approach to tenancy, selecting diverse organisations with a commitment to innovation, sustainability, collaboration and community. International Towers General Manager, Tony Byrne, said the GBCA relationship is a purposeful alliance. “The GBCA is passionately committed to positive impact and progressive thinking and we are excited about what it can contribute to our growing community of innovation-focused tenants,” said Mr Byrne. “There is mounting evidence that high performance cultures are also very human cultures which incorporate a powerful sense of community. Within Tower Two and Tower Three International Towers we are designing uniquely flexible, open floor plans, workspaces and shared spaces that encourage collaboration both within and across organisations,” he said. “International Towers’ flexible, open floor plans and shared spaces will enhance the collaboration within our teams and with other like-minded organisations, in turn driving new levels of service and opportunities for our members and the industry,” Ms Madew adds. Joining the GBCA, within its tenancy, will be the Shopping Centre Council of Australia (SCCA) – the national industry and advocacy group for Australia’s major shopping centre owners, managers and developers. The International Towers placemaking model responds to workplace cultures that have shifted away from rigid constructs and hierarchical models, towards more informal, social experiences which inspire more innovative and creative thinking and create a powerful sense of belonging. Designed by globally-renowned architects, Rogers Stirk Harbour + Partners, and developed by Lendlease, International Towers feature an abundance of natural light and sweeping vistas and wide open spaces. The circular building design, coupled with the egalitarian nature of the interior layouts, means all staff can have access to generous amounts of natural lighting, plus enviable harbour and city views – and there is quite literally no ‘corner office’. Leading Australian interiors architect firm Geyer has been working with International Towers over the past year, developing this powerful new enterprise community model which brings workers of Tower Two and Tower Three International Towers together in a dynamic innovation ecosystem that inspires growth, collaboration and employee satisfaction. Tower Two and Tower Three International Towers community tenancies are being designed to allow organisations the flexibility to expand and contract rapidly and efficiently. International Towers allows tenants to use a ‘kit of parts’ approach to create their spaces. Key elements within the floor plates and design allow teams to continually expand and contract beyond their core space – depending on the organisation’s needs and focus. Work environments are designed to encourage and inspire cross-functional team interaction – including open spaces, visible gathering spaces, transparent meeting rooms and connectivity between staff areas and event tenancies. There are many design elements between tenancies which encourage collaboration, connection and mobility. This includes a clever arrangement of lift cores coupled with the introduction of communal spaces where people can gather and co-create, as well as quiet spaces to focus and imagine. International Towers also features a unique ‘Companionway’ – a shared connection between floors and tenancies which offers opportunities for shared work spaces, social catch-ups and special events. The International Towers team has introduced a strong service culture within the building which includes a year-round calendar of curated, whole of community events which offer cross-pollination and continuous learning opportunities to tenants and their people. Lendlease International Towers Sydney Trust (LLITST) is a A$3.2 billion trust, established in 2012. It holds a 100% interest in the first two commercial towers developed and constructed by Lendlease at Barangaroo South, being Two International Towers and Three International Towers. The Trust also owns 100% interest in International House, Australia’s first engineered timber building at Barangaroo. International Towers also provides one of the most technologically advanced work environments in Australia – offering a fast, efficient and progressive tech environment for workers and International Towers staff. International Towers partnered with Meshed, KPMG and the Internet of Things Alliance Australia to become a part of “The Things Network Sydney” which is a global and open crowd-sourced Internet of Things data network. Sydney CBD’s first gateway has been installed on the rooftop of Tower Three, which allows around one million points of information to be received by the building management platform, allowing air conditioning, lighting, security and CCTV to be monitored at any time, from any device, and from anywhere in the world. Mobile reception is also fully functional within all areas of the building including the lift towers. International Towers is one of the most sustainable developments in Australia, and part of one of the greenest urban regeneration projects anywhere in the world. The Barangaroo South precinct achieved a 6 Star Green Star – Communities rating in 2016, representing world leadership in the design and delivery of sustainable precincts. Each of the towers at International Towers features 6 Star Green Star ratings for design, and are registered to achieve ratings for construction. The GBCA’s fitout will also achieve a Green Star – Interiors rating. More broadly, the precinct will eventually boast the highest concentration of Green Star ratings in the country, with each building, as well as the 80-plus retail tenancies and office tenancies, needing to achieve Green Star ratings. Through a combination of solar shading, water management, glass technology and context-responsive thermal performance, Two and Three International Towers sets a new standard in innovative sustainability. Each tower responds to its unique geography and environment. Built using recycled materials with a concrete plant established on-site, each tower saved more than 30,000 truck movements and 5,000 tonnes of carbon emissions during construction. Some of the most significant sustainability features of International Towers include 6,000 rooftop solar panels and a central cooling plant that cools the building with Sydney Harbour water. This alone saves up to one million litres of water from the main supply every year. The unique external fins that characterise the distinctive facade of the towers’ also play an important functional role, by maximising the amount of shade within the interior workspaces, therefore reducing the need for unnecessary cooling, without impacting the levels of natural light permeating through the space. Since the tower design also features ceiling heights of 2.9m, rather than 2.4m, over 20 per cent more natural light can be filtered into internal workspaces, decreasing the reliance on harsh artificial lighting. Each of the 30,000 globes used to light the precinct are LED, making it one of the largest installations of LED lighting in Australian history. All of the eateries in the curated casual dining precinct, ‘The Canteen’, use recyclable and combustible packaging, plus a robust recycling program for waste. These initiatives reduce almost 90 per cent of the total waste generated by the entire precinct going to landfill – well above the country average for comparable commercial precincts and buildings. The majority of the towers’ interior fit-outs are sustainably sourced – from lounge furniture to desks; even the building umbrellas used by the concierge are sustainably sourced. A commitment to sustainability is a core promise of existing and future tenants of the building and part of lease agreements. International Towers has organically attracted organisations that are progressive and forward thinking. The relocation of these significant enterprise groups to International Towers has been a key component of disrupting existing work practices, and establishing the framework for business innovation. Current International Towers tenants include: KPMG and its recently-opened Innovation Lab; 2016 Australian Law Firm of the Year Gilbert + Tobin; leading global reinsurer Swiss Re; Australia’s most innovative international property and infrastructure group, LendLease, which developed International Towers One, Two and Three; and Westpac Group, demonstrating its new WorkSMART workplace strategy. Both KPMG and Westpac Group were voted Graduate Employers of 2017. Foundation tenants under the new curated tenancy model include the Green Building Council of Australia (GBCA) and Recognise, the campaign for constitutional recognition of Aboriginal and Torres Strait Islander peoples. The Leesman Index – the largest independent collection of workplace effectiveness data in the world, recently recognised the LendLease global headquarters at Barangaroo in the top six per cent of workplaces globally for workplace design, functionality and effectiveness. International Towers General Manager, Tony Byrne said existing tenants have cultivated a game-changing ethos as a result of this move to International Towers, and have introduced highly innovative processes and workplaces to support their vision to be best-of-class within their particular industries. “We are delighted to welcome the GBCA to our dynamic community at International Towers and look forward to a long and fruitful relationship that supports its continued growth and inspires our community of tenant partners and visitors,” he said. The GBCA is a not-for-profit, member-based organisation committed to developing buildings, cities and communities that are healthy, liveable, productive, resilient and sustainable. Established in 2002, the GBCA is charged with introducing and driving the adoption of sustainable practices in the Australian property industry. In 2003 GBCA successfully launched Australia’s only national, voluntary, holistic six star rating system for sustainable buildings and communities – Green Star. Sydney, Australia, 25 May 2017 – Retail payments innovator Afterpay, has been recognised at the prestigious FinTech Australia National Awards 2017 – The FINNIE Awards, Australia’s first-of-its-kind program, curated with and for the Australian FinTech community. 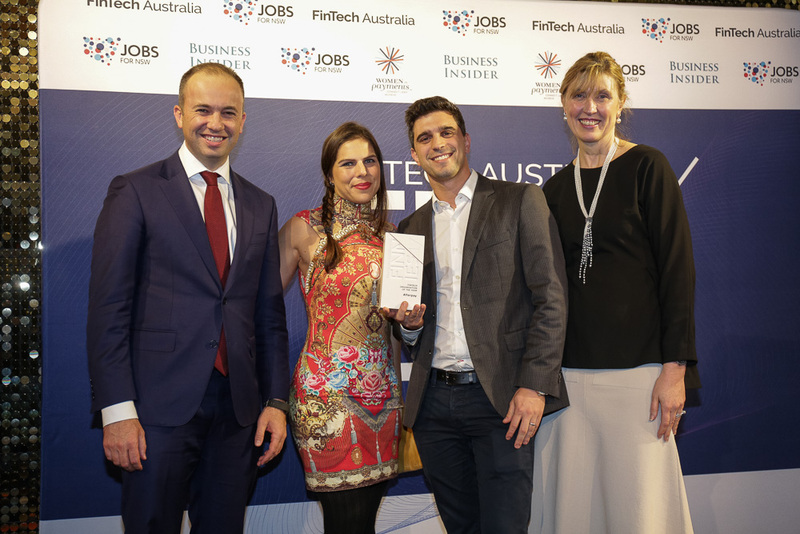 The ‘FINNIES’ which were set up to recognise champion leaders of fintech in Australia, awarded Afterpay as the ‘FinTech Organisation of the Year’, crediting the platform for its revolutionary approach to payment technology that allows customers to buy now, receive now and pay later. Afterpay has hit it off with a range of consumers, in particular millennials, which comprise 73 per cent – almost three quarters of its customer base. Retailers are truly connecting with millennials on a personal level and the advocacy through their customers has been incomparable. Heavily focused on expanding to broader retail categories and consumer demographics is the way forward for Afterpay. The substantial increase to over half a million customers embracing the ‘buy now, receive now, pay later’ payment option reinforces this vision. Founded in 2014, Afterpay is a leading Australian retail payments innovator that facilitates commerce between retail merchants and their end-customers. Afterpay offers a ‘buy now, receive now, pay later’ service that is absolutely in the customer interest, not requiring end-customers to enter into a traditional loan or pay any upfront fees or interest. Afterpay currently has over 650,000 customers and over 4,300 retail merchants and in 2016, listed on the Australian Securities Exchange. For more information, visit www.afterpay.com.au. Sydney, Australia, 1 February 2017 – Stocard, the world’s leading mobile loyalty wallet, today announced its latest financing round for an undisclosed amount from Silicon Valley-based Rocketship.vc, in addition to funding from original investors Shortcut Ventures and Germany-based Alstin. Stocard will use the capital from the raise to launch a mobile payments functionality, expand in new markets including Australia and recruit engineers and business development professionals. 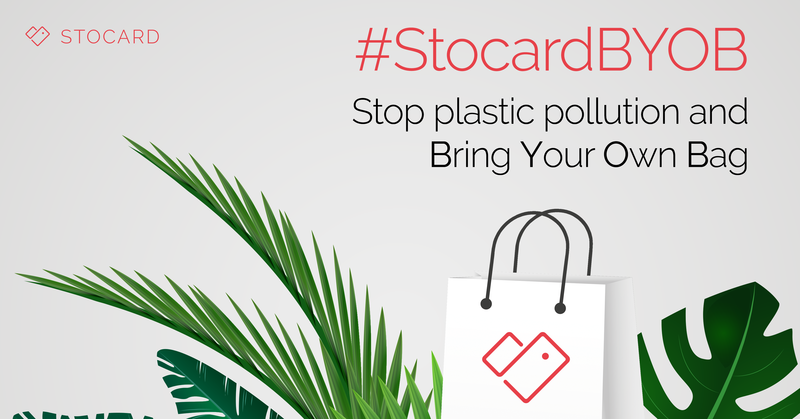 Stocard eliminates the need to keep plastic loyalty cards and lifts the weight off wallets, by allowing shoppers to store their loyalty cards all in one app, as well as collect points and rewards. In addition, users receive personalised offers from favourite retailers and see current points balances and transactions in real-time. Globally, Stocard currently has 12 million users with a user base growing by half a million users, month on month. Of this, 1.5 million users are in Australia with this number increasing organically per month at a steady rate. Over 4,000 brands are using Stocard internationally to reach shoppers with loyalty offers, including major Australian retailers such as the Woolworths Group, Wesfarmers and Spotlight Retail Group. This year, Stocard will launch a mobile payment capability, offering users a holistic shopping experience – from browsing offers to paying at the POS – within the Stocard app. Since the Series A financing in early 2016, Stocard launched two new offices in Italy and Australia to boost collaboration with local retailers. Stocard was founded in Mannheim, Germany in May 2011 where its headquarters is based, with offices recently opened internationally in Australia and Italy. Stocard lets users store all their loyalty cards in one place – on their smartphones. With more than 12 million global users, Stocard is the leading wallet app for loyalty and combines smart technology with maximum usability. A simple scan feature lets users scan every card and add it digitally to the app. Moreover, targeted offers from retailers can be received by users. In the near future a payment solution will be added in order to implement a complete mobile wallet. For more information, visit www.stocardapp.com. Smart Investment through Data Science. Based in Palo Alto, California, Rocketship.vc is an early stage venture capital fund investing in companies using models built through data science. Rocketship’s proprietary Escape Velocity™ algorithm identifies companies with a Sustainable Growth Engine at their core. For more information, visit www.rocketship.vc. Sydney, Australia, 6 March 2017 – Leading retail payments innovator Afterpay, announced its platform is now available at popular online department store, The Nile (www.thenile.com.au) to coincide with ‘Back to Uni’ 2017. A new-generation payments system, Afterpay allows shoppers to buy now, receive now and pay later, helping to lighten the load for students scrimping to purchase required textbooks for the new university year. The Nile offers textbooks for all university and most TAFE courses across Australia and is fast becoming one of the country’s leading online destinations, especially for textbooks. Furthermore, The Nile provides added financial relief with prices below recommended retail and free shipping within Australia, as well as free same or next day dispatch within Sydney. With university getting more and more expensive every year, this is a welcoming reprieve for students with costly expenses. Afterpay offers the benefits of a layby service with an immediate take-home option, that does not require customers to enter a traditional loan or pay upfront fees or interest. Students can purchase online at www.thenile.com.au, select Afterpay as the payment option at the checkout and receive their textbooks within days. Items are paid for in full over four equal fortnightly payments rather than a hefty outlay in one hit. Founded in 2014, Afterpay is a leading Australian retail payments innovator that facilitates commerce between retail merchants and their end-customers. Afterpay offers a ‘buy now, receive now, pay later’ service that is absolutely in the customer interest, not requiring end-customers to enter into a traditional loan or pay any upfront fees or interest. Afterpay currently has over 475,000 customers and over 2,600 retail merchants and in 2016, listed on the Australian Securities Exchange. For more information, visit www.afterpay.com.au. The Nile is a rapidly growing Australian department store selling a wide range of books, DVDs, baby products, wine, games, toys and health and beauty products. The Nile finds, sources and delivers products from all over the world and offers free shipping on all items within Australia. Established 15 years ago, The Nile was started by Jethro Marks and Mark Taylor and has expanded to employ over 80 people across customer service, logistics, marketing and creative design. For more information, visit www.thenile.com.au.